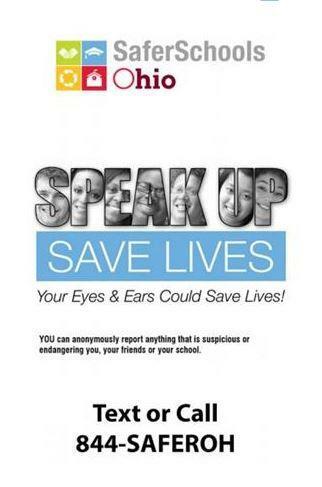 Hearing screenings are done in accordance with guidelines established by the Ohio Department of Health and are usually conducted in the fall of the school year. All students in Kindergarten, 1st, 3rd, 5th and 9th grade are screened using the Pure-tone Air Conduction Audiometry at 1000Hz., 2000Hz. and 4000 Hz at 20 dB HL in Both ears. Vision Screenings are done in accordance with guidelines established by the Ohio Department of Health. Students with glasses or contacts are checked wearing their corrective lenses. All students in Kindergarten, 1st, 3rd, 5th, 7th and 9th grades will be screened. All students who fail the screening will be referred for follow-up. A form letter will be sent home, which will also include a form with the student's test results for the physician or other follow-up provider to fill out. These forms should be completed and then returned to the school nurse.